Nike’s React technology was invented in an attempt to dethrone Boost as the premier midsole technology. Both are extremely comfortable although the UltraBoost still remains more popular thanks to its head start on the market. Nike has developed numerous shoes that use the React midsole and now, one more silhouette will be joining the React arsenal. This shoe is being called the Nike Phantom React Flyknit and has the same silhouette as the Nike Epic React Flyknit. The one big difference between the Phantom and the Epic, is that the Phantom has a one-piece Flyknit upper that has no lacing system. Instead, it’s a slip-on shoe with a pull-tab at the top the tongue. Much like the VaporMax, there is a separate layer black knitting on the toe box which matches the black that goes up the tongue. The first colorway that will be released boasts a pink multi-colored upper and Nike swoosh that is simply a black outline, with the multi-colored pattern found inside. Meanwhile, the React midsole the shoe is white. If you’re looking to cop these, they will release on May 2nd for an undisclosed price, according to Sole Collector. The Philadephia 76ers are facing the Brooklyn Nets in the first round the NBA playfs, and the series has proven to be very entertaining. The underdog Nets pulled out one win against the heavily favored 76ers already. At the time this article being published, the score between the two teams is separated by one point with about 8 minutes left in the fourth quarter. The 76ers are currently up by one game. As reported by ESPN, Jimmy Butler and Jared Dudley were both ejected from Game 4 the series after Dudley shoved Joel Embiid and players from both teams had to be separated by ficials. Dudley charged at Embiid with 7:42 remaining in the third quarter and Brooklyn leading 67-61. The incident occurred after Jarrett Allen was fouled near the basket. Dudley and Ben Simmons both spilled into the courtside seats along the baseline at Barclays Center during the altercation. Embiid was given a flagrant 1 foul on Allen, and both Dudley and Butler, who swung his left forearm at Dudley, were called for technical fouls and ejected from the game. Without Butler in the game, the Nets are likely to take Game 4 and tie the series at two wins apiece. Amazon’s freemium music service soft launch may force Spotify to reevaluate its own strategy to keep advertisers. In an interview published earlier this year, David Limp, Senior Vice President of Devices and Services over at Amazon, shared a surprising figure. The e-commerce giant’s voice assistant Alexa was now available in over 100 million devices around the world. This includes Amazon’s line of Echo smart speakers and over 150 partner devices. While an impressive figure, this number still remains shy of Apple and Google’s voice assistant installed base – over 500 million each. According to the Voice Assistant Consumer Adoption Report, global consumers can now access smart assistants on over one billion devices. To capitalize on the growing smart speaker boom, Amazon has unveiled its own free music tier. Will consumers readily abandon Spotify and YouTube Music freemium in favor of Amazon? Earlier this week, Amazon it had struck deals with the Big 3 – Warner, Sony, and Universal Music – to launch its own freemium streaming music service. Keep in mind the e-commerce giant already offers two subscription streaming music tiers – Music Unlimited and Prime Music. Similar to Prime Music, Amazon’s free, ad-supported tier would feature a limited catalog. This would likely serve as a ‘teaser’ for Echo users. Emerging data shows Echo devices handle a large amount of music-related requests. These include demands to play a song, clarify a song title, identify a song based on a lyric snippet, or pull up a popular playlist. In , Spotify revealed it had around 209 million monthly active users (MAUs) around the world. The popular service also had 96 million subscribers. This means the company has around 113 million MAUs streaming music on its free, ad-supported tier. Yesterday afternoon, Amazon unveiled its freemium ‘Spotify killer.’ Yet, it did so through a soft launch. Available only to U.S. consumers with an Alexa-enabled device, the freemium service remains rather limited. Users, for example, can only request songs, which will lead to an Amazon-curated playlist or station instead of a full album. According to analysts, the limited freemium tier serves a two-fold purpose. First, the music service will boost its own advertising income. Second, the company aims to boost sales of Echo speakers. “It will probably have little impact on the established players — Spotify has incredible loyalty with its listeners and I don’t see people marching off to Amazon because it’s going to have a free tier. Yet, he noted the new freemium tier may bite into Spotify’s much-needed advertising revenue. Midia Research analyst Mark Mulligan agreed. “Spotify should be worried, not just because Amazon has already proven itself a more-than-able competitor in subscriptions, but also because it has the ad sales infrastructure that Spotify does not. Featured image by Amazon Music. TechCrunch is in the business keeping the internet abreast the latest developments in the tech industry. Three hours ago, they published an update regarding a recent breach security on the Facebook server. It was initially reported that tens thousands Instagram accounts synched through Facebook were compromised in the attack. Turns out, the number affected users is actually in the millions. Log-in to your account through Instagram’s desktop version, track back to settings in the top right corner, and you’ll see just how easy it is to view tons personal information, like contact lists and phone numbers. Beware, social networking is a fairly coordinated experience. More ten than not convenience culture rears its ugly end. In March, Oakley and Kansas City Chiefs quarterback, Patrick Mahomes, announced an historic partnership making the reigning NFL MVP the first-ever football player to join Team Oakley. 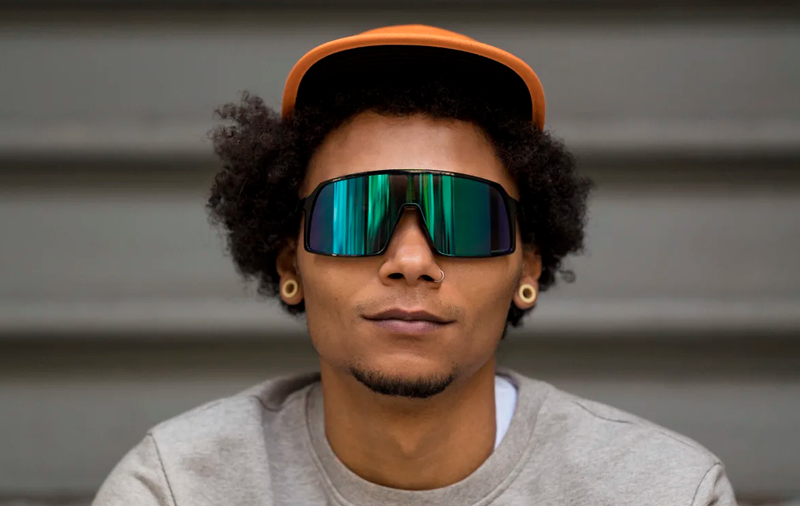 Today, Oakley released a short film, “See it in PRIZM,” which stars Mahomes, New York Yankees slugger Aaron Judge, pro skater Ryan Sheckler, and others. 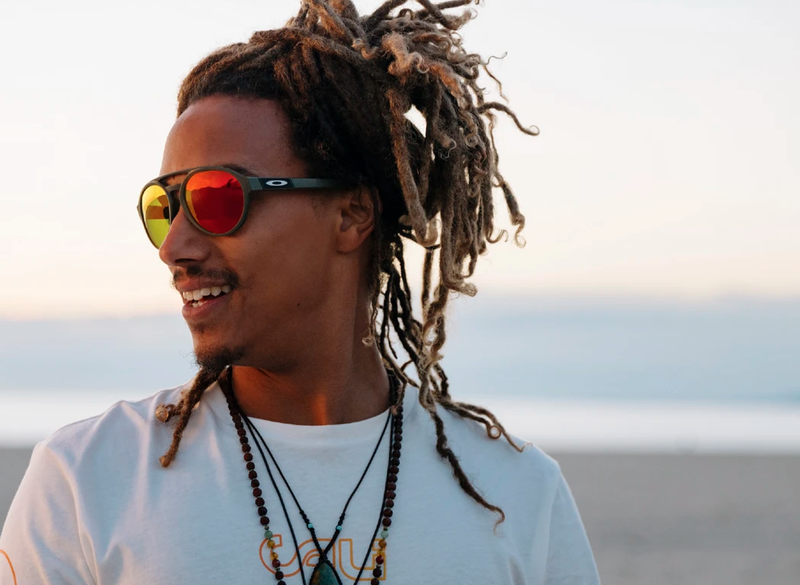 The film showcases Oakley’s newest eyewear, including the Oakley Sutro, Mercenary and Forager. 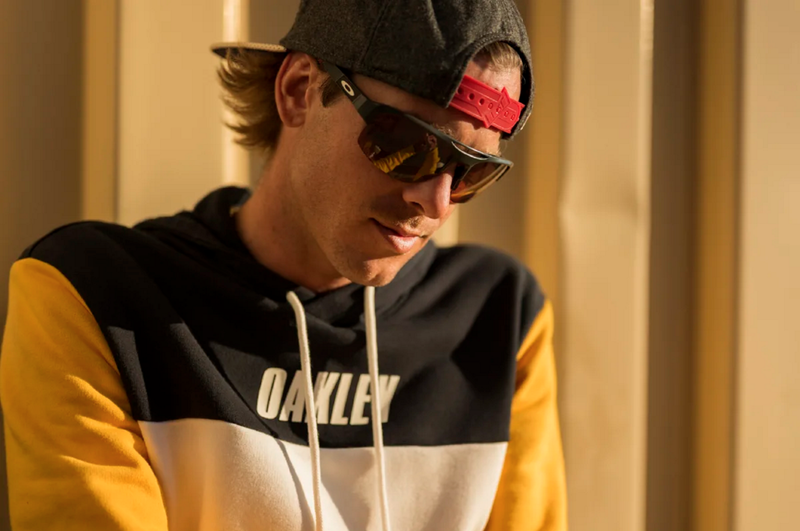 Check out the short film below, followed by a description and price points for Oakley’s three new shades. Los Angeles, CA – French Montana recently stopped by Beats 1 Radio to discuss his upcoming endeavors with host Zane Lowe. During the conversation, the topic pivoted to Kanye West, who was supposed to deliver the Yandhi album last year. After multiple delays, the highly anticipated project still doesn’t have a solid release date. But according to the Coke Boys mastermind, ‘Ye’s next body of work will be incredibly impactful. Whether he’s referring to Yandhi specifically wasn’t clear. “He’s working on something that’s so crazy,” French told Lowe. “I think he’s working on something bigger than music. When I went to go see him, he showed me something that was so crazy. But, that’s what make people like him stand out, because he always think outside the box … really outside the box. In terms of French’s schedule, he says he’s inching closer to releasing his next album. “I’m about like 96 percent done,” he said. “It’s just the technical difficulties that come with it. It’s just samples. Sometimes you try to clear a sample that 15 people wrote on it or like the publisher’s dead somewhere, you know what I’m saying? French’s latest single “Slide” featuring Blueface and fellow Bronx rapper Lil Tjay dropped earlier this week. eBay has allied with Record Store Day to allow independent stores access to 179 million eBay buyers. Record Store Day is a celebration of independent record stores across the United States, and a decidedly offline event. In fact, the entire point of RSD is to steer music fans into physical stores. That makes a recent deal with eBay a bit surprising, though the alliance could be win-win. Ahead of the latest RSD weekend, eBay highlighted its partnership with RSD’s Authorized Seller Network to open their inventory to more than 179 million eBay shoppers. The aim is to complement in-store sales, especially from buyers who can’t easily access a brick-n-mortar RSD location. Theoretically, that could diminish in-store traffic among nearby music fans, though the records themselves are all flowing through participating RSD store inventory. Earlier, RSD organizers expressed consternation against eBay for allowing ‘fraudulent’ listings of exclusive RSD vinyl releases. Basically, go-betweens were selling ‘exclusive’ releases on eBay ahead of the official RSD date, then purchasing them in person and profiting from the auction. That’s the internet, of course, though we’re guessing that ‘bad start’ led to this more regulated partnership. Record Store Day began in 2008 as a way to celebrate more than 1,200 independently owned record stores in the United States. These with a variety of physical music. The increased popularity of vinyl records has helped . Of course, vinyl’s popularity is happening online as well, for obvious reasons. Unsurprisingly, eBay Vice President of Merchandising Sam Bright says vinyl sales are extremely popular on the online auction site. Anyone interested in supporting independent record stores can shop the official Record Store Day sellers on eBay. A report from BuzzAngle Music earlier this year showed that vinyl sales are showing no signs of slowing in 2019. Vinyl saw a 12% increase in total album consumption for 2018, too. In fact, vinyl album sales grew while individual song and album sales fell. BuzzAngle says the sales were primarily driven by purchases of “older” records released before 2015. The only contemporary album in the top 10 is Tony Bennett and Diana Krall’s Love Is Here to Stay from 2018. eBay’s help promoting the Record Store Day catalog online should further help fuel those old album sales, especially among collectors. You probably already know the story by now. Last month, in a landmark vote, the European Parliament the controversial Copyright Directive. 348 Members of European Parliament (MEPs) voted in favor. 274 voted against. 36 abstained. The bill includes two much-maligned measures. Article 11 (the ‘link’ tax, since renamed Article 15) and Article 13 (‘upload filters,’ renamed Article 17). Critics had long slammed the bill over the undefined upload filters. Dubbing Article 13 the ‘meme ban,’ major tech companies, most notably Google, claimed the bill would promptly lead to censorship online. No one knows really knows how upload filters will work. For the entertainment sector, especially the music industry, the Copyright Directive represents a major victory. The new law grants rightsholders an improved negotiation position with online platforms that use their works. In addition, authors and performers will benefit from new provisions included in the bill. These include better remuneration and contracts. Major online platforms, including YouTube, Facebook, and Twitter, must now sign formal licensing agreements with creators to use their works. Should they fail to do so, these platforms must ensure infringing content is taken down and not re-uploaded. As stated earlier, thanks to the use of copyright filtering technology, opponents fear the new law will lead to a police state online. Supporters counter the final approved text never once mentions the phrase. Issuing a statement following Monday’s final approval, Germany admits ‘upload filters’ won’t exactly work. Yet, Article 13 – now 17 – of the Copyright Directive requires the filters until someone can come up with a better solution. “There is indeed consensus that creators should be able to partake in the exploitation of their works by upload platforms. In addition, Germany vows it will ensure Article 17 only targets “market-dominating platforms.” The government will exclude websites like Wikipedia, GitHub, WhatsApp, blogs, and cloud storage platforms, among other sites. In a joint statement, the five countries which staunchly opposed the Copyright Directive – the Netherlands, Luxembourg, Poland, Italy, and Finland – slammed the final vote. “We regret that the Directive does not strike the right balance between the protection of rights holders and the interests of EU citizens and companies. EU Member States have up to two years to implement the Copyright Directive in their respective countries. Spotify has formally opened a new R&D center in the heart of Great Britain. Nearly two years ago, Spotify revealed its plans to launch a new research and development hub. The R&D center would co-exist alongside its current operations in London. He added the city had a “vibrant” start-up community as well as a “great wealth” of tech talent. Hailing the announcement, Saliq Khan, the mayor of London, echoed Richman’s sentiments. “Spotify is the latest in a long line of companies who realize that London simply cannot be beaten for innovation. Now, the streaming music giant has followed through on its promise. Opening up its R&D center, the company confirmed the new hub will create around 300 new jobs in the city. Spotify also confirmed it would move its current staff into the Adelphi building on the Strand later this year. With the shift to the R&D center, the new building will house 550 employees, up from around 260. Spotify currently has major hubs in Stockholm, New York, San Francisco, Boston, Stockholm, and Boston. The company joins other tech companies which have recently beefed up their presence in the city. These include Google, Facebook, and Amazon. Last year, Facebook confirmed it would double its current UK office space to house 6,000 employees. Google is currently building a new headquarters for around 4,500 employees. Kim Kardashian recently opened up her home to Vogue by giving viewers and exclusive and thorough look inside her California mansion. The visit included cameos husband Kanye West and their adorable kids. The reality TV star is seen strutting through her “minimal monestary” home, revealing varying details surrounding the origin and inspiration behind the home’s decor. Though beautiful and lavish, what got the attention all surrounded the home’s technical setup. Despite showing f an enormous bath tub facing giant windows and a double vanity, fans noted a specific detail: the sinks had no basins. Most sinks seen throughout the video are covered despite fitting the home’s overall minimalistic theme. And it seems the television personality fered endless details on everything except that, thus leaving social media to come up with the appropriate answers. The missing tubs sparked hilarious commentary across the internet, especially on Twitter. Users tweeted their most elusive theories, bringing forth matters engineering and piping to discuss everything from the drain’s positioning to the water flow’s location. Though many initially thought it impossible, Cern confirms that the PS4 will have a Solid State Drive, and uses Marvel’s Spider Man as a means measuring the difference the upgrade makes. While fast traveling previously took up to fifteen seconds on the PS4, took .0.8 seconds on the prototypical “devkit” version the PS4. And fear not, PS4 gamers – the console will be backward compatible. 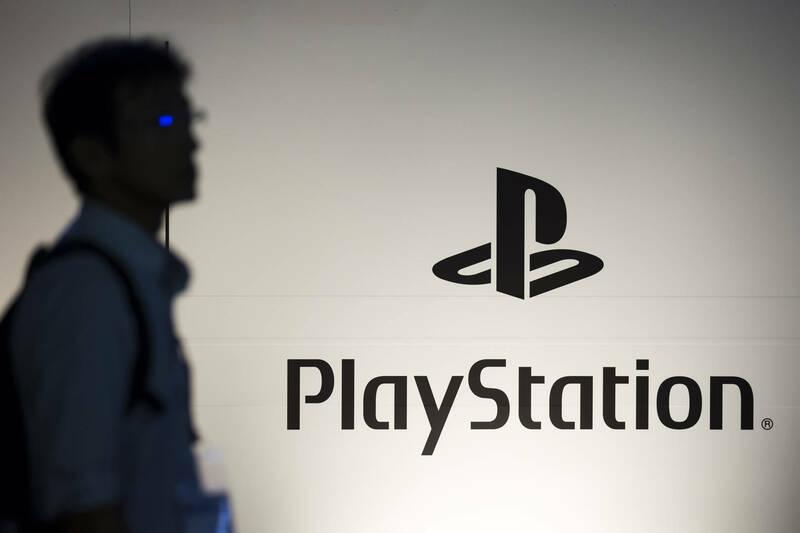 All things considered, the PlayStation 5 sounds like an accomplishment on every level. Look for more news to surface in the coming months, but don’t expect the console to arrive this year. While ByteDance executives battle it out with the major labels, Amazon’s Twitch is trying to steal away TikTok’s core audience. According to a report published earlier this week, Chinese conglomerate ByteDance – parent company of TikTok – in stalled licensing negotiation talks with the major labels. Now, as talks continue to make little progress, and with ByteDance set to launch its own streaming music service a major competitor has encroached on the conglomerate’s primary market. With a few weeks left to go, should the talks fail, the major labels will promptly remove their catalogs from the service. This would force ByteDance to make a drastic decision. Either the company will take down existing and new videos on both services, or prevent users from uploading videos with songs. This would ultimately lead to diminished popularity, and serious problems for both TikTok and Douyin. Amazon-owned game-streaming service Twitch has now publicly launched its first music game. Dubbed ‘Twitch Sings,’ the game invites users into an interactive karaoke-style experience designed primarily for live streaming. Players can sing thousands of songs alone or participate in duets with other gamers. Users also have the option of singing in front of a camera or through an animated avatar. Like TikTok, Twitch Sings viewers can request songs and cheer with emotes to activate light shows and virtual ovations. They can also offer silly challenges, including singing like a cat. “Twitch Sings unites the fun and energy of being at a live show with the boundless creativity of streamers to make an amazing shared interactive performance. The game remains part of Amazon’s strategy to branch its live streaming platform out of gaming and into more lucrative markets. The e-commerce giant first purchased Twitch for $1.1 billion in 2014. Currently, the live streaming platform has over 2.2 million creators and 15 million daily unique visitors. Twitch makes money from selling ads, offering premium ad-free membership plans, partner fees from broadcasters, and paid ‘cheers’ – live donations – from viewers. Whether or not Twitch Sings can successfully cut into TikTok and Douyin’s market remains to be seen. Tyga is on the verge another summer takeover. He’s already laid the foundational steps with “Goddamn,” another display his brilliant chemistry with D.A. Doman. While the formula has yet to change, it feels like an “if it ain’t broke, don’t fix it” moment. Should Tyga really dete his style at this point? He’s already enjoying the spoils a massive comeback – arguably the biggest in recent memory, unless you happen to be Soulja Boy. Now, in honor his recent spoils, T-Raww has decided to indulge in a little bit retail therapy, connecting with the esteemed jeweler Ben Baller. Check out the piece above, and sound f below. Is Tyga currently in possession the nicest chain in the game? Of course, the competition is fierce, but Ben Baller’s work here should not go underappreciated. Congrats to Tyga for making a new investment.